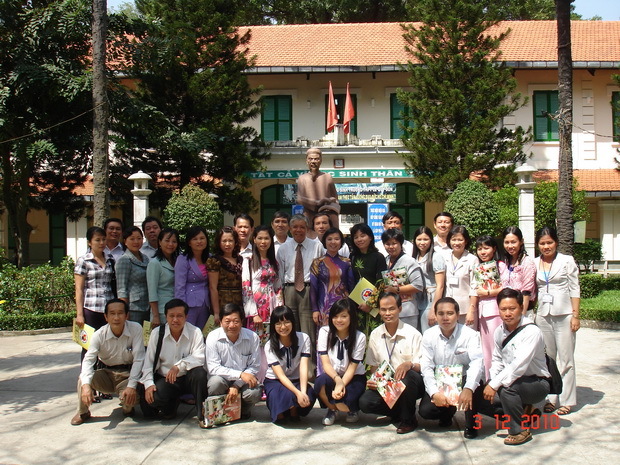 On March 13, 2011, a closing ceremony was held for the training course on “Excellence for Leaders of Vietnamese High Schools” (March 7-15), with the participation of 30 high school principals and vice principals from disadvantaged provinces in Vietnam. 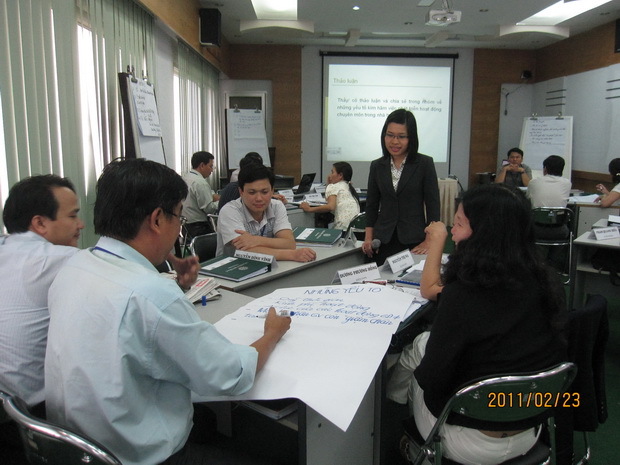 This last training course along with the three previous ones were funded by Belgian Technical Corporation (BTC) for 2010 and 2011. Altogether, there were 120 high school principals joining these courses. 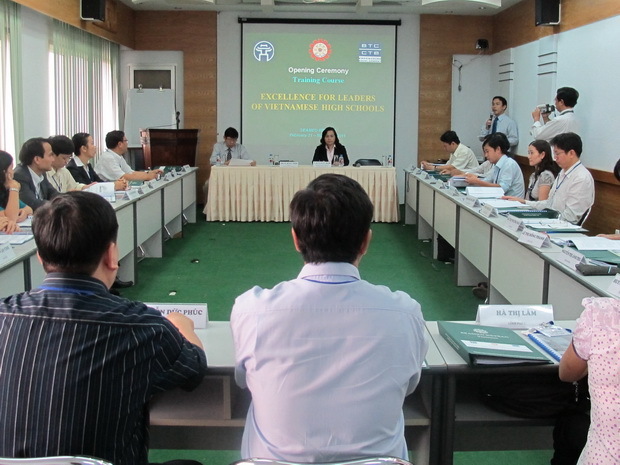 The project aimed at enhancing leadership and management knowledge and skills for Vietnamese high school leaders with an emphasis on those who are female, working in the remote areas or from ethnic minorities. 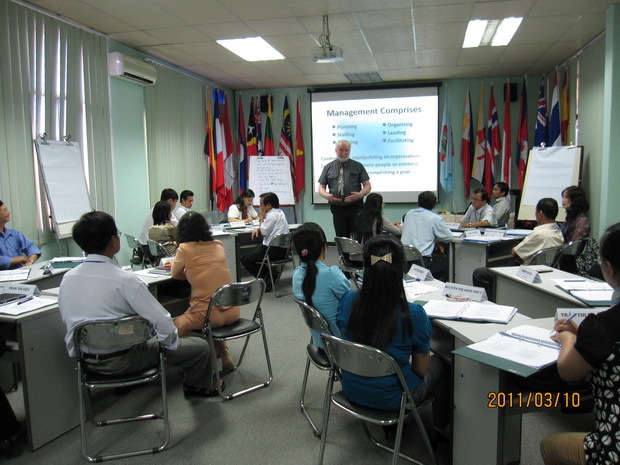 In addition to the on-site training, participants were also requested to attend a 4-week online training which provided them with more knowledge and self-study skills in the field of education, and especially helped promote lifelong learning.